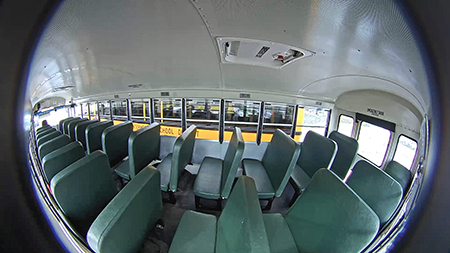 With nearly 1,500 school buses operating in more than 100 school districts throughout Michigan, security and surveillance is a paramount concern for Dean Transportation. Dean Transportation, formerly Special Transportation, was established in the early 1950’s by Eric Christensen. Christensen transported individuals affected by polio to Lansing, MI, area schools throughout the 1950’s and the early 1960’s. In 1969, Special Transportation was incorporated by Lyle L. Stephens, a former Michigan State Police Motor Carrier Lieutenant and a leader in passenger safety. Kellie Dean joined the company in 1986, and Special Transportation became Dean Transportation in 1991. Dean Transportation constantly monitors new developments with regards to site surveillance and on-board vehicle technologies. In an effort to learn more about new advancements with these technologies, Dean started to research and learn about systems with real-time on-board surveillance capabilities, system status dashboards, and open development platforms. Dean Transportation began making inroads with Arete Technology, located in nearby Grand Rapids. Arete’s expertise is in cellular technology, internet services, asset management and video technology. Through an on-site consultation, Arete conducted an analysis of Dean Transportation’s requirements. Kimball said the obvious choice for Dean Transportation was Axis Communications, a manufacturer of network cameras, video encoders and video management software with a specialization in transportation. Axis is a world-leading provider of network video solutions for professional installations, and the company invented the original IP camera in 1996. 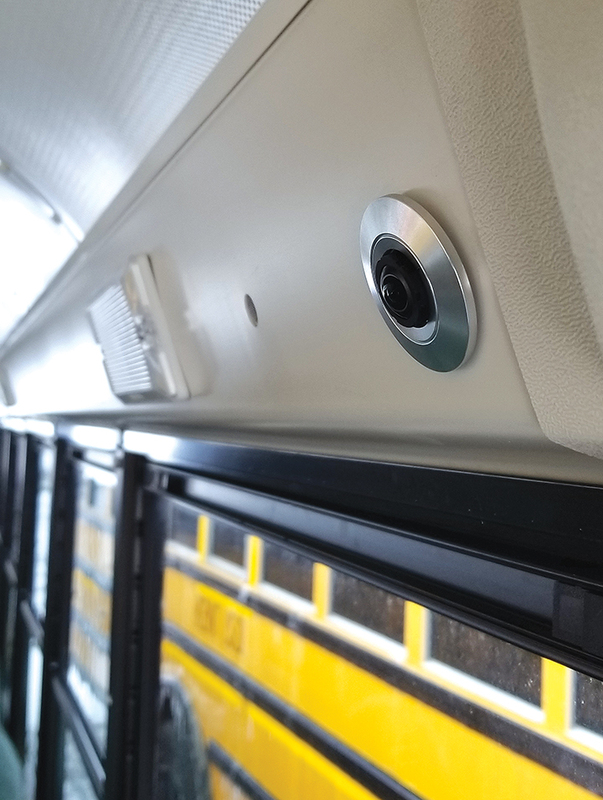 Arete Technology and Axis Communications proposed upgrading all of Dean Transportation’s on-site security with Axis cameras. 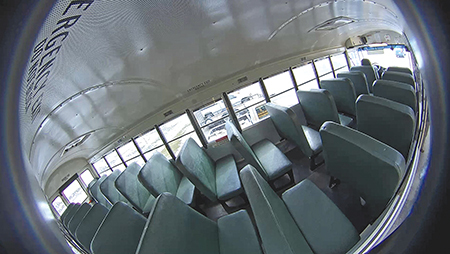 As part of that, the three companies embarked on a product trial on five school buses and one motorcoach. Dean said he was immediately cognizant of the scope and expertise of the Axis organization. Axis manufactures purpose-built IP cameras for onboard environments, drawing from experience all the way back to its first IP camera. That increased processing power, Incorvati said, has enabled several advancements in video surveillance – increased image quality, better performance in low-light, back-light and blinding-light conditions, to name a few – but none more important than the advent of open architecture in video surveillance. For this Field Test, Arete led an implementation that included Axis cameras and a software platform called Observit C3 (Camera Connected Cluster). This trial represented North America’s first deployment of the Observit platform. Observit is a long-time Axis Application Development Partner that has always specialized in the onboard video management environment. However, and more recently, Observit have taken their NVR/server-based software approach and has developed C3 – which is an in-camera, server-less and cloud-based approach to onboard video. Traditionally, any onboard camera system had to be coupled with a network video recorder (NVR) which housed its video management software. Observit’s system is housed directly on the camera, allowing for cloud-based information exchanges, and it utilizes the camera edge storage and removes the requirement for an onboard NVR. The evaluation of the system included playback of recorded video, real-time video and audio. In addition to being cloud-based, the Axis cameras allow for diagnostic alerts on any technological element, including image sensors, microphones or SD cards. Dean said he is most impressed by the breadth of knowledge Axis Communications has regarding different cameras, sensors, and where they can be most effective. 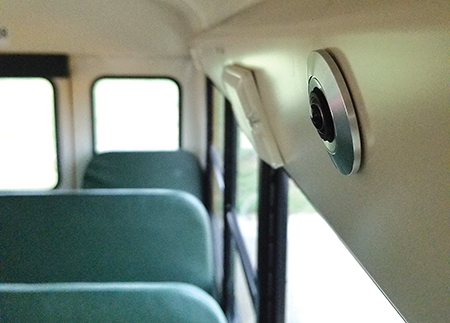 Dean Transportation found low maintenance and ease-of-use to be the top factors drawing them toward installing more Axis cameras in the future. In terms of maintenance, Dean said the cloud-based system means much less I.T. work by the company’s maintenance team. 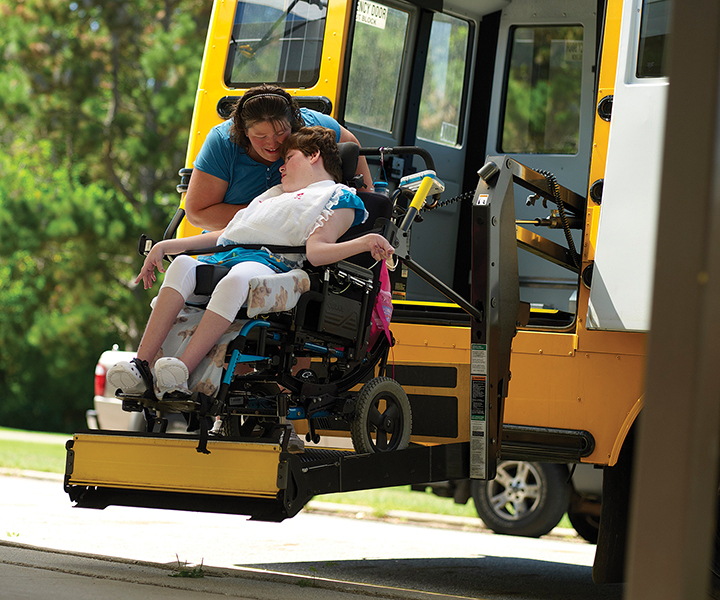 With a few tweaks and adjustments, Dean said, the Axis system is well suited for the company’s expansive school transportation business. Furthermore, the company’s current recommendation is to move forward with installing Axis cameras at Dean’s facilities when the time comes to upgrade on-site security capabilities.